Friends and Family Celebrate Ciara's Baby Shower! 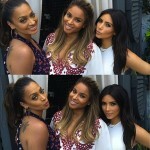 Home » Friends and Family Celebrate Ciara’s Baby Shower! It’s almost time for Ciara to welcome her baby! 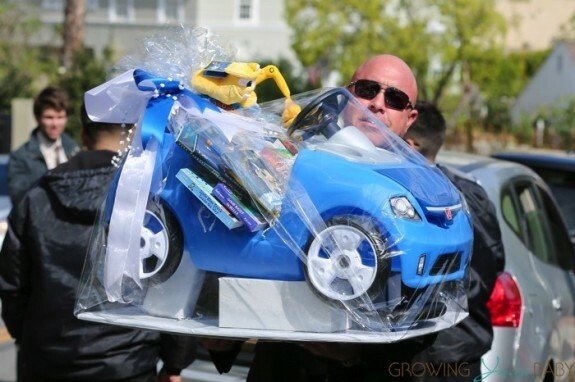 On Saturday friends and family gathered in Beverly Hills to celebrate the pending arrival of her baby boy! The mom-to-be arrived in a chauffeured driven SUV wearing a floor length white and burgundy Naeem Khan lace-embroidered caftan. 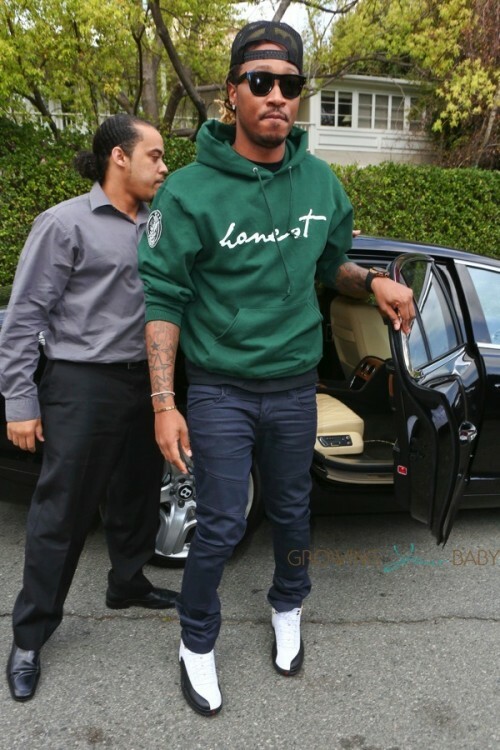 Also spotted arriving at the party was dad-to-be, rapper Future, and Kim’s mom Kris. Attendants were photographed bringing gifts in for the new baby. How cute is this Step2 Whisper Ride Buggy with books packed into the drivers seat? The singer, who announced she was expecting in January, is due very soon. The new baby will be the first child for Ciara and fourth for her fiance Future(Nayvadius Cash), who already has three children; an 11-year-old son, a 4–year-old girl India Jai, and a 1-year-old son Prince.